Are you or someone in your household a Frozen enthusiast? Perhaps you’ve seen the animated classic so many times you know every line of the script by heart. Or maybe you feel a continual desire to belt out “Let It Go” while driving alone in the car. You may even think there’s nothing more to learn about the story and characters you love. Well, prepare to be impressed (and learn some new songs) because starting this month, Frozen heads to Broadway! FROZEN The Broadway Musical not only shimmers with sparkling beauty, it brings amazing new depth and dimension to the tale. How? Through the music. While an 85-minute animated feature usually includes about five songs, a full two-hour Broadway musical requires around 20. That’s a lot of new music! Songwriters Kristen Anderson-Lopez and Robert Lopez, who created the score for the film, have created a veritable “North Mountain” of unforgettable musical moments. Here’s just a look at three new songs and the backstory behind them. “One thing we wished we could have done in the Frozen film was write more music for Kristoff,” Lopez says. But the strong, sardonic character comes into his own on stage singing “What Do You Know About Love?,” a groove-based duet for Kristoff and Anna as they clash philosophically about the nature of love. 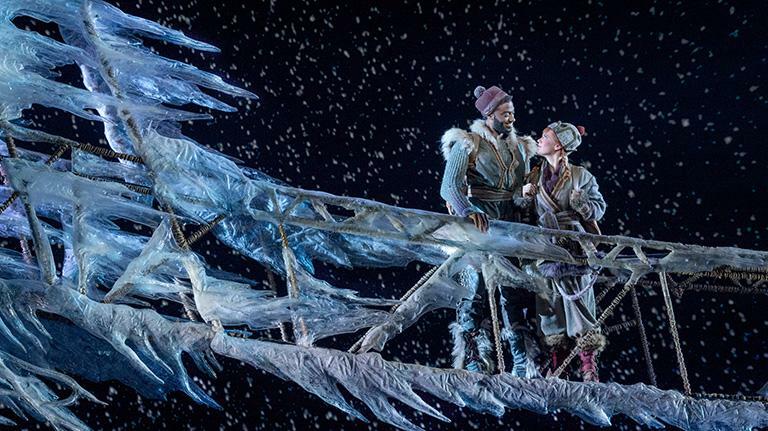 In Act II, the song reprises as a rustic lullaby and becomes “You’re What I Know About Love,” when Kristoff realizes he has fallen in love with Anna. Now’s the time to book your tickets! And to add to your experience, Cardmembers receive an exclusive VIP package with the purchase of premium tickets to see FROZEN The Broadway Musical, as well as ALADDIN or THE LION KING on Broadway.1 Click here for more details. 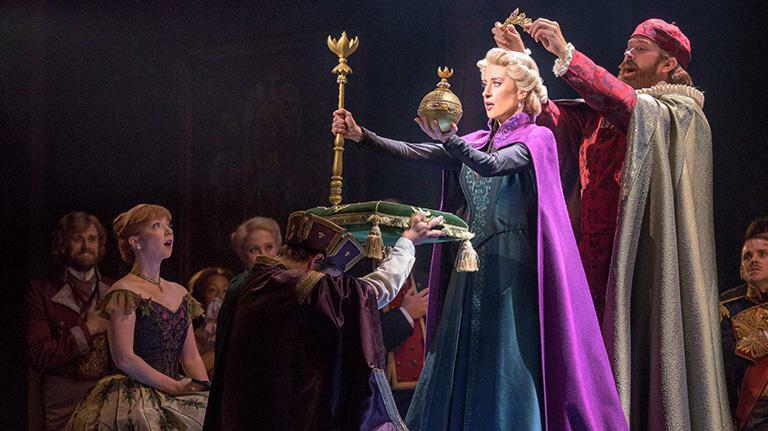 And check out the official trailer and pre-Broadway opening night clips below to get a taste of FROZEN The Broadway Musical! With each premium ticket purchased through the offer code (first four digits of card), cardmembers will receive a VIP package. Blackout dates and other restrictions may apply. VIP ticket holders may pick up their VIP packages by showing their Disney Visa Card at the New Amsterdam Theatre, Minskoff Theatre or St. James Theatre box office prior to the applicable performance. Vouchers for complimentary drink and keepsake photograph have no cash value. Vouchers may not be used on other merchandise or tickets, concessions or other items. Offer only valid for performances purchased with offer code. All vouchers will be honored and fulfilled upon availability of product. Offer not valid on prior purchased tickets and may not be combined with any other offer. Offer may be revoked without notice. ALL SALES FINAL. No refunds. Standard Ticketmaster service fees apply to online or phone orders. The Lion King VIP Package prices include a $2.00 facility fee per ticket. Aladdin VIP Package prices include a $2.50 facility fee per ticket. Frozen VIP Package prices include a $2.50 facility fee per ticket. Dates, times, prices, and cast subject to change without notice. Limit 19 tickets per person per 7-day period. Must use a Disney Visa Card for purchase. Disney Rewards Dollars cannot be redeemed toward ticket purchases for Disney Live Events, including Disney on Broadway (in New York City and on tour), Disney on Ice, and Disney Live! Productions.